Home Auto Insurance Auto Insurance News Which Car Brands Build the Least Reliable Cars? General Motors (GM) and Toyota have been making headlines lately for massive mechanical and electrical failures that have led to multi-million dollar lawsuits and enormous financial penalties from government safety agencies. Odds are these things would influence your buying behavior if you were shopping for a new car. No one wants to buy a car from one of the least reliable car brands. You probably wouldn’t be likely to purchase either of these car brands based on this information. You might be surprised to learn that GM and Toyota aren’t the only ones producing cars with reliability issues. To bring you up to speed we’ve created this list of the worst cars, with respect to reliability, for sale in the U.S. The Least Reliable Cars for Sale in the U.S.
We can’t make this stuff up. Actually, we could but then everyone would hate us. We pulled our data for this article from Consumer Reports’ 2013 Annual Auto Survey, a report based on a survey that includes vehicles made in the past decade (2003-2010) by popular car brands. Not all car brands are created equal. While news of recalls and malfunctions color our perception of the reliability of various car brands and models, there’s a lot more going on than you hear about in the news. The Consumer Reports survey managed to bring that information to the surface and provides an intriguing look into the state of modern car manufacturing while overturning long-held brand perceptions. But that’s enough talk. Let’s look at the list and then recap. Now under the ownership of Fiat, the former Dodge truck has had some major reliability issues. Reports showed that the entry-level RAM 1500 had the fewest issues of the Ram trucks. The larger models (the 2500 and 3500) appeared to have the most problems of the trucks within the Ram car brand. Not many people are surprised that Volkswagen appears on the list of least reliable cars. Reliability has been an issue for the German automaker for a while. It’s been posited that Volkswagen may be cutting costs in order to offer less expensive luxury sport experience—entry-level vehicles that would compete or compare with car brands such as Volkswagen’s sister company Audi (who actually made some of the most reliable cars on the Consumer Reports list). The Korean automaker had a rough start in the U.S. and quickly earned a reputation for making junk cars. A recommitment to quality and a 10-year warranty to back it up eventually earned them a place at the table in the American car market. Decades later, Hyundai is still taxed by reliability issues. While they haven’t returned to being the least reliable cars, they have some things to sort out. Otherwise, they may join the car brands that find themselves at the bottom of the list. Nissan has been touch and go on reliability for a while now. While they’ve had increasing success in the sales department, this car brand’s reliability leaves something to be desired. The top offender is the Nissan Altima, which was the least reliable car of all mid-size sedans of all car brands included in the Consumer Reports survey. Some of the car problems reported by drivers include non-responsive push-button ignitions, sensor malfunctions, and complaints regarding the Constantly Variable Transmission (CVT). Also the property of Fiat, Jeep didn’t fare well in reliability rankings. Their best performing model was the Patriot, but in terms of reliability, the Jeep brand performed poorly. Much of Jeep’s reliability issues center around integrated electronics. The Jeep Grand Cherokee was cited as a specific example, largely because of the high amount of integrated electronics and a high number of driver-reported issues with these devices. All in all, the former Chrysler brands did poorly according to car owners polled by Consumer Reports. Dodge was no exception. The report shows the Dodge Dart doing the best of all the models of that particular car brand, but as a whole, Dodge produced some of the least reliable cars on the list. It appeared to be a trend within the recently purchased Chrysler brands. Hopefully, this is something that Fiat plans to address in future iterations. Who knew? Well, Cadillac drivers did, it seems. Cadillac used to be the brand other car brands were compared to for both driving experience and reliability. Unfortunately, it seems their quality has taken a dip. Actually, it’s more like a dive. Again, electronic systems were largely to blame. Everything from frozen touch screens to non-respondent voice activated controls has contributed to Cadillac’s low-reliability rankings. What’s interesting is the low number of mechanical complaints. Still, car owners were frustrated by broken or non-responsive electronics and this drove Cadillac’s score down significantly. Another victim of electronic device failure, Ford’s score was greatly diminished by problems with the MyFord Touch software and technical issues surrounding the new in-car infotainment center in many of their vehicles. Of thirty Ford models tested, all ranked below average on the reliability scale with the exception of the Ford F-150 3.7 liter V6. The MyFord Touch issue heavily damaged the reliability of the Ford brand in the survey, but in terms of mechanical failures, Ford seemed to fare well. The Consumer Reports survey report also pointed to a reported car problem with electronic engine components but was careful to make it clear that the engine itself was fine. Lincoln is still in the early stages of a comeback that’s been a long time coming. Reliability issues with the Lincoln vehicles also stemmed from the MyFord Touch system, as it is part of the Ford car brands and utilizes the same technology. Further contributing to a low-reliability score was an ongoing problem with the Ford-made V6 EcoBoost engines. Unfortunately, this was a major factor in what has placed Lincoln at the bottom of this list, making it one of the least reliable cars on the market. This might come as a bit of a surprise to many of you. After all, Mini has been around for a long time and largely has a good reputation—or it did. You don’t have to look too far for stories from tormented mini owners complaining about frequent visits to the dealer and a rather absurd laundry list of items breaking, bugging out (lots of sensor issues were logged), and general unhappiness with build quality. Car and Driver’s long-term test of the Mini Countryman (the hands down least reliable vehicle tested, according to the Consumer Reports survey) revealed that the Countryman was prone to squeaking and rattling in cold weather, but appeared to be quieter when it was warm. It appears that BMW, the prestigious German automaker that owns the Mini car brand, has been skimping on the build quality of the brand they’ve owned since 1994. While the list points to car brands that are having noticeable reliability issues within their fleet, it doesn’t identify which individual vehicles are having especially bad reliability problems. Fortunately, that information was available via the survey. The Ford C-MAX Energi, was the least reliable car according to the survey. While it’s true that the C-Max Energi had been the subject of several recalls and a victim of the ongoing MyFord Touch problems, the cars’ overall rating was more damaged by the touchscreen info system’s malfunction than by mechanical or structural issues. It should be noted that the MyFord Touch system is an option on the C-Max Energi and not a standard feature, which means you can circumvent those issues entirely if you really have your heart set on a Ford-made plug-in vehicle. Another interesting find was that many of the car brands facing reliability issues were the less rich-blooded, adopted brothers and sisters of leading European automakers, by and large. It appears that car brands purchased by these automakers aren’t receiving the same attention to detail and quality build that their luxury counterparts are. The only vehicles that don’t fit that description are Nissan, Ford, and Hyundai who collectively take up three of the ten spots on the list. If these are the least reliable cars, who can you trust? It turns out that Subaru had the top results in the Consumer Reports survey with their 2014 Subaru Forrester. Another top finisher was the much-talked-about Tesla Model S from Tesla Motors. Audi managed to move up the ranks from previous year’s rankings, making a significant improvement in the reliability of their cars. Audi is no stranger to car problems—and it’s no surprise. Cars that hit the lot already finely tuned and utilizing state of the art engineering are likely to have problems from time to time. That said, the Audi A6 2.0T sedan, the Q7 SUV, and the Allroad wagon helped the German automaker take a solid 7th place in the Consumer Reports customer survey results which translates to “better than average” reliability. Another interesting fact that the Consumer Reports survey uncovered was that long term reliability still largely sits with Japanese car brands. With few exceptions, Japanese automakers produce more reliable vehicles than any other automaker included in the survey. 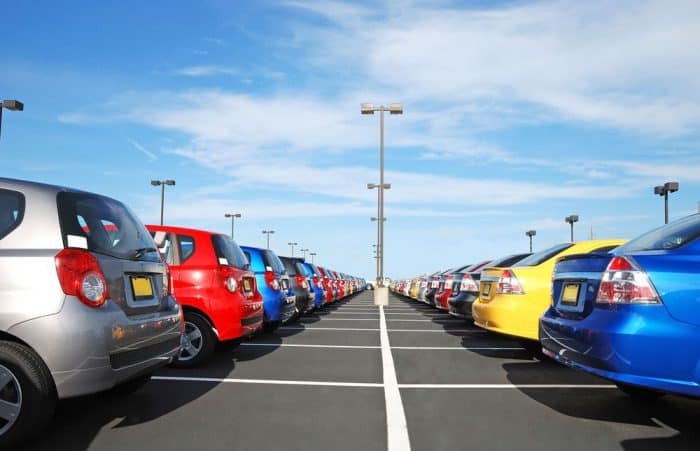 Lastly, just because you have a car from a less reliable car company doesn’t necessarily mean your auto insurance rates should be through the roof. Compare car insurance rates to make sure you’re paying a reasonable rate.